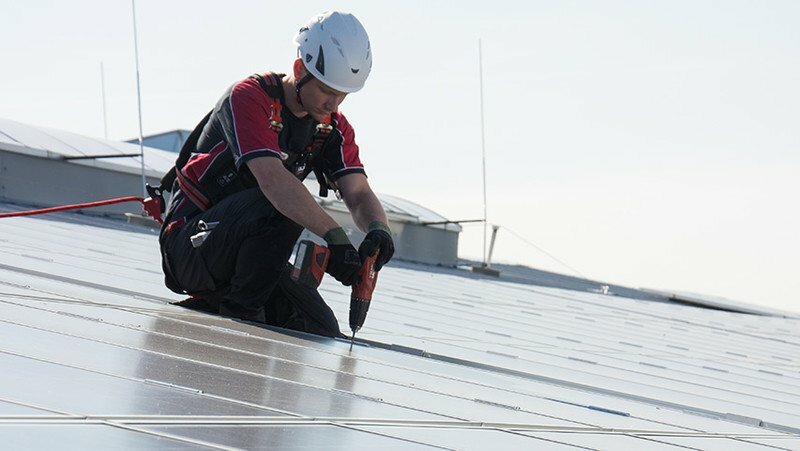 This stainless steel anchorage point (Ø 16 mm) was specially designed for work on solar panels and PV modules. 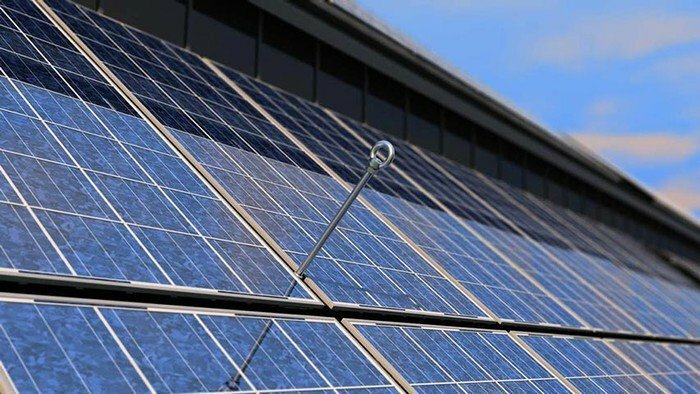 Simply attach the anchor to one of the load-bearing struts of the photovoltaic system using its base and counter plates (100 x 100 mm). The load-bearing capacity of the supporting substructure must be checked prior to installation! 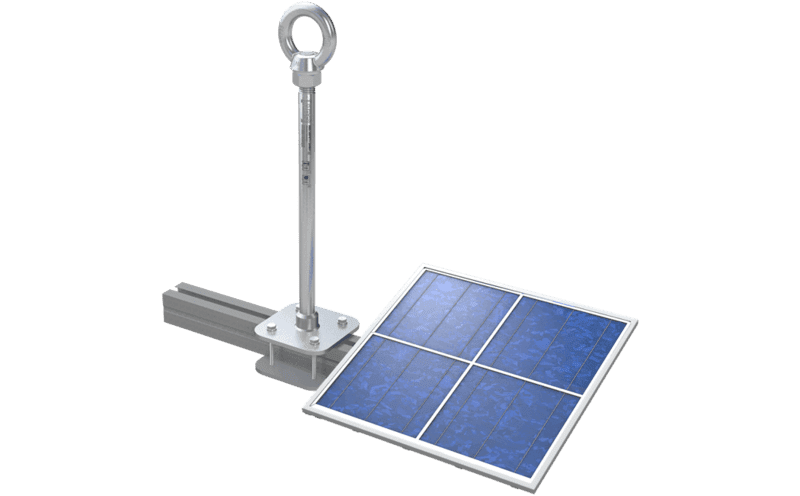 When clamped onto a solar panel or PV module strut, our ABS-Lock X-Solar offers you a sturdy anchorage point for securing 3 individuals. Use this anchor device as a single anchorage point - or simply upgrade it to incorporate it in your lifeline system. The stainless steel anchor rod (Ø 16mm) is designed to buckle under stress - thus greatly reducing the force of a fall. Before installing our ABS-Lock X-Solar anchor, however, you should double check to make sure that the load-bearing capacity of your system strut is sufficient. 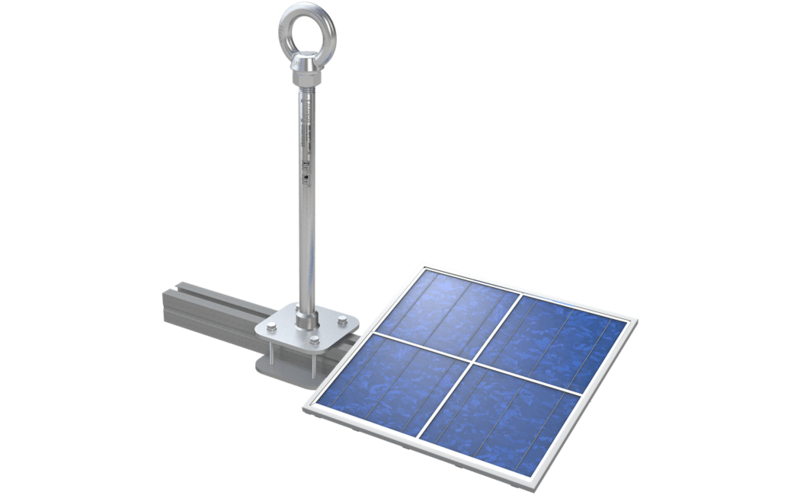 The anchorage point is simply clamped straight onto the strut of your PV system using its base and counter plates (100 x 100 mm). Our ABS-Lock X-Solar is suitable for all directions of load - making it ideal for use on a pitched roof surface.